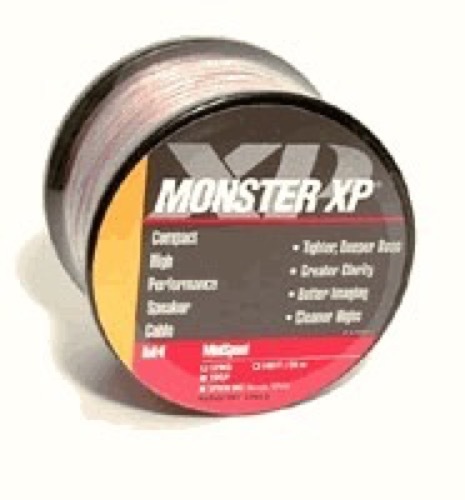 Monster XP Speaker Cable, 50 ft, Clear, Mini-spool. Monster XP, the high performance high definition speaker cable. Impressive overall clarity, more power and greater dynamic range, tighter and deeper bass, cleaner highs. Compatible with all amplifiers and receivers. Special LPE insulation reduce signal loss and distortion. XP Technology. For home theater long cable runs.